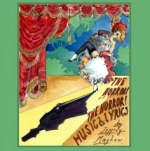 The music and lyrics from the 2012 sell-out smash The Horror! The Horror! 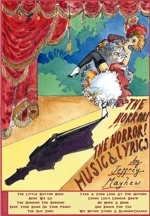 Published in 2014 to coincide with a new run of performances. The Horror! The Horror! began with a battered paperback passed between the two of us, and the opportunity to produce a show for one of Londons most exciting venues. The book was J. B. Priestley's magnificent Lost Empires, recommended to us by the writer of these songs Jeffrey Mayhew, and the venue was Wiltons Music Hall, which had invited us to create a performance to take place in its nooks, crannies and hidden corridors while the main house underwent renovation. Having previously worked largely in the Grand Guignol tradition of gruesome naturalist short plays, Priestleys book and Wiltons itself suggested a very different approach. We started putting together the story of a music hall company gradually absorbed by dark invisible forces, and Jeffrey began to write the score. From the first draft of Keep Your Hand on Your Penny that Jeff played for us, we were bowled over. Its a song that could easily have fallen through time from those days before the Empires were lost, when great halls up and down the company played to packed crowds twice-nightly and the best of the bill-toppers were true household names. Jeff has an enviable knowledge of late 19th and early 20th century popular music, but its his ability to not only emulate the tone and the rhythms of that period, but to create wickedly clever, extremely naughty and irresistibly catchy new compositions which blend the traditional with the slyly arch that makes his score for The Horror! such a joy to listen to. This score represents a brand new version of the show, subtitled The Final Curtain, with six new songs, revised lyrics for several of those that return, and a completely reconceived book. The production is travelling up to the Edinburgh Fringe this summer via a brief stop-off at Wiltons, and its packed with superb numbers from start to finish. There are peppy up-tempo pieces, saucy rabble-rousers and tender ballads, unfolding the story of a tragic romance caught in the calcium glare of the footlights. We hope youll enjoy them as much as we do. 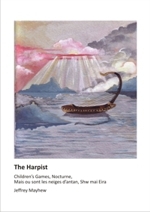 For details of Jeffrey's music for Harp, Flute & Harp and Voice & Harp please go to our Harp Sheet Music section. These works include grade harp examination settings for ABRSM & TRINITY.